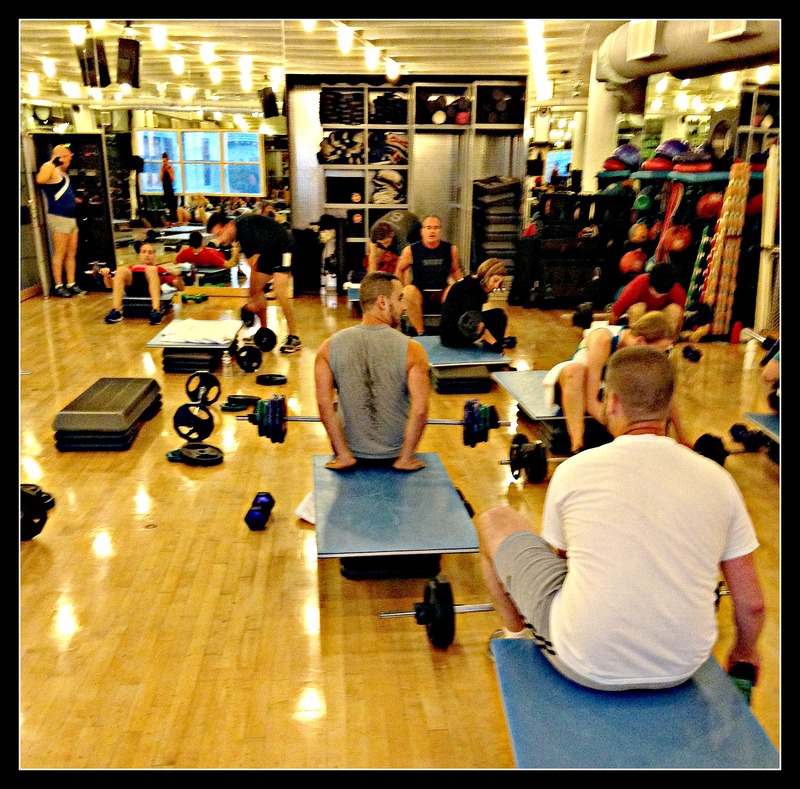 One of my favorite things about group fitness classes is the community you start to develop. Running had always been my workout of choice, which I still do love and make sure to get a good run or two in every week. But there is a solidarity to running. It allows you to feel one with yourself. You focus on your breathing and the thud every time your foot hits the pavement. It creates a therapeutic rhythm you can get lost in. It is a great way to be in the present with yourself and for me it helps to work through stress and thoughts. Now group fitness classes are the opposite. Yes you are working out by yourself, but you are doing it with others. You are all in on this adventure together. For that one hour you share a common bond with everyone around you. Without even trying you are motivating others around you, inspire them to keep going, work harder, and challenge themselves. Through time if you are attending the same classes frequently, you start to see the same people. You build bonds with one another even if you do not always speak to one another. It can be through a smile, a friendly hello, or just knowing you all do this every week together. Friendships and relationships start to form. This morning I went to body pump at my new gym, which was only the second time I had attended this class at this particular gym. Class was supposed to start at 7:00 am and at 7:10 the instructor had not shown up. Now for most people this would mean class was cancelled. Everyone would disperse from the room and go about their day. However not today. On this day this group of people came together on a common goal of exercising. One guy in our class had the body pump soundtrack on this phone and another guy Chris had been trained to teach body pump, although not fully certified, and offered to attempt to teach the class. With this everyone in the class cheered and encouraged Chris to step up and lead us all. Let me just say Chris did an awesome job! After every workout block the class would clap and cheer, encouraging Chris to continue to be our front man. After an hour I felt completely worked and also a sense of new found companionship with my class members. It amazed me how everyone came together and we were able to overcome a minor setback. I left the gym feeling a sense of pride in the people around me. I think my new gym is going to be a pretty good place.